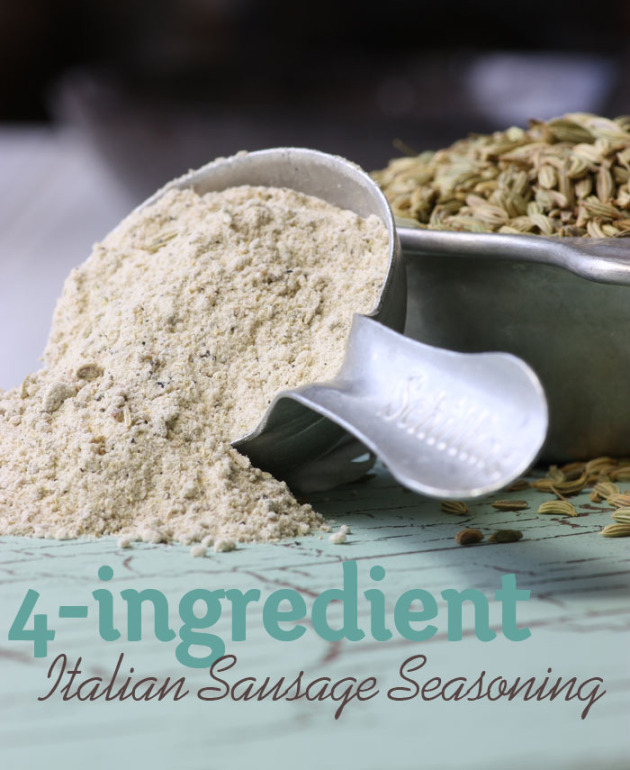 Here’s a simple 4-ingredient copycat of Penzey’s Spices Italian Sausage Seasoning. Every couple of months we make it down to Denver where I hit the Cherry Creek Penzey’s Spices store to “provision up” on flavors from the around the world—Vietnamese Cinnamon, French Thyme, Chinese Five Spice—to name just a few. Well, it’s been more than a couple of months, supplies are running low, and last week I found myself in a bind. You see, the kids and I are saddling up and heading to Idaho later this week and I wanted to cook up a huge pot of Bolognese to freeze for my husband so he won’t whither away while I’m gone. 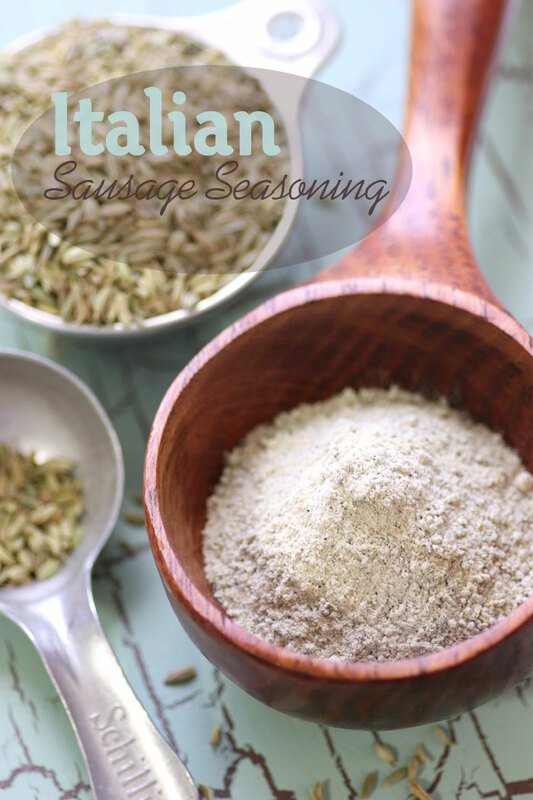 I was out of Penzey’s Italian Sausage Seasoning—the secret ingredient in my Bolognese! What to do. What to do! I’ve been sprinkling it on my morning scramble, on veggies, on quesadillas, you name it. My friend Kelly over at The Spunky Coconut made grilled chicken breasts with it—brushed on a little oil and seasoned liberally. Funny though, I have yet to make Italian sausage with it. This blend is a little lighter on the salt than the Penzey’s version so if you like yours extra salty, just add a 1/2 tablespoon more. As for the Bolognese recipe, you can find it here. Crock pottin’ easy! Add all ingredients to coffee or spice grinder. Grind to a fine powder. Lexie, I love this recipe! I'm all about making one's own blends so I don't have to rely on being stocked up on them. Thanks so much for this one, and I look forward to your Bolognese–yum! what a great spice blend! so many things to try with it! thanks for sharing! Can't wait for you to try it and report back : ) And thanks for the votes!! what sugar would you substitute if you wanted to make this low carb? This sounds great and its simple! Thanks for the recipe – and with ingredients I can EAT!! Here's voting for you Lexie!